MOST DURABLE UPHOLSTERY BRUSH EVER MADE! The Grime Reaper is the ultimate upholstery brush. 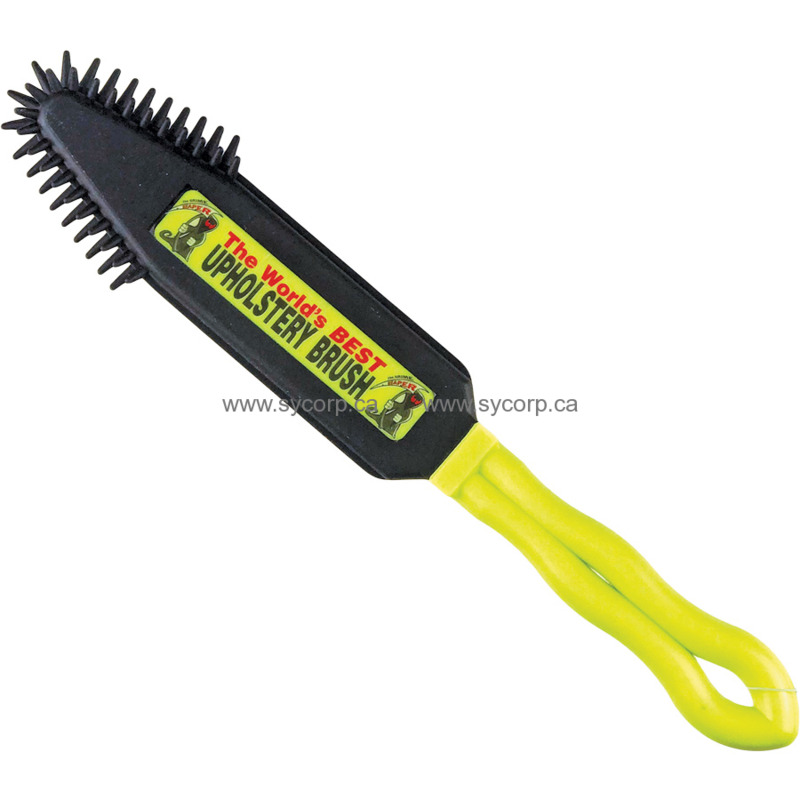 The Grime Reaper's bristles generate an electric charge that grab onto hair and fine particles and aggressively agitates upholstery without damaging fabric. The thermoplastic rubber will outlast any horsehair brush and is specially formulated to maintain its shape and resist wear and tear. Made of thermoplastic rubber specially formulated to maintain its shape and resist wear and tear. This one piece long-lasting molded natural rubber brush leaves no area for bacteria to build up. 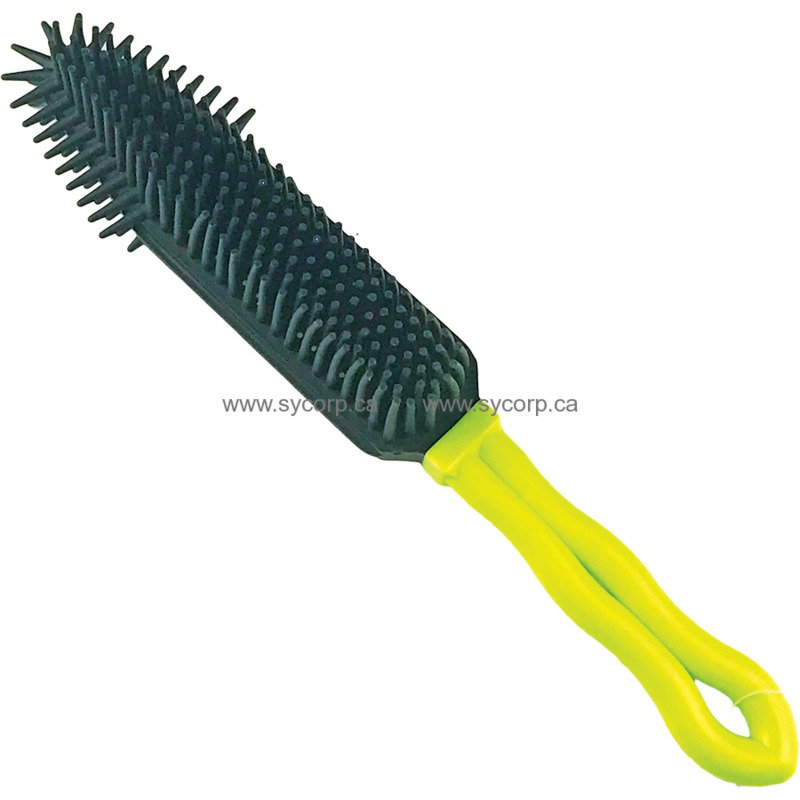 The soft durable bristles generate an electrostatic charge that collects pet hair and dander, dust particles etc.... It's contoured shape is ideal for use on upholstery, carpet, rugs, stairs, furniture, fabric and cars. If you're tired of not being able to clean hard-to-reach areas in cars and couches, than you’ll love the thin head and non-obtrusive handle that makes it easy to clean the nooks and crannies. The brush is fully washable and easy to clean. Just use soap and water (dishwasher safe - top shelf only). This upholstery brush by American Brush & Chems is well worth the money for removing pet hair from home furniture & car upholstery! Well worth the money!